Like the name implies, the Descente Selene Print Pant comes in several subtle pattern options that add a little bit of pop to this popular ski pant. The Thinsulate 40G insulation is a great choice for an all-season midweight, and it also offers a 20K waterproofing/windproofing rating so you don't have to wait in the lodge during storm days. An adjustable waistband and bottom leg zippers help keep snow off your layers, and the low-rise design is great for ladies who don't want extra restrictions on their core. 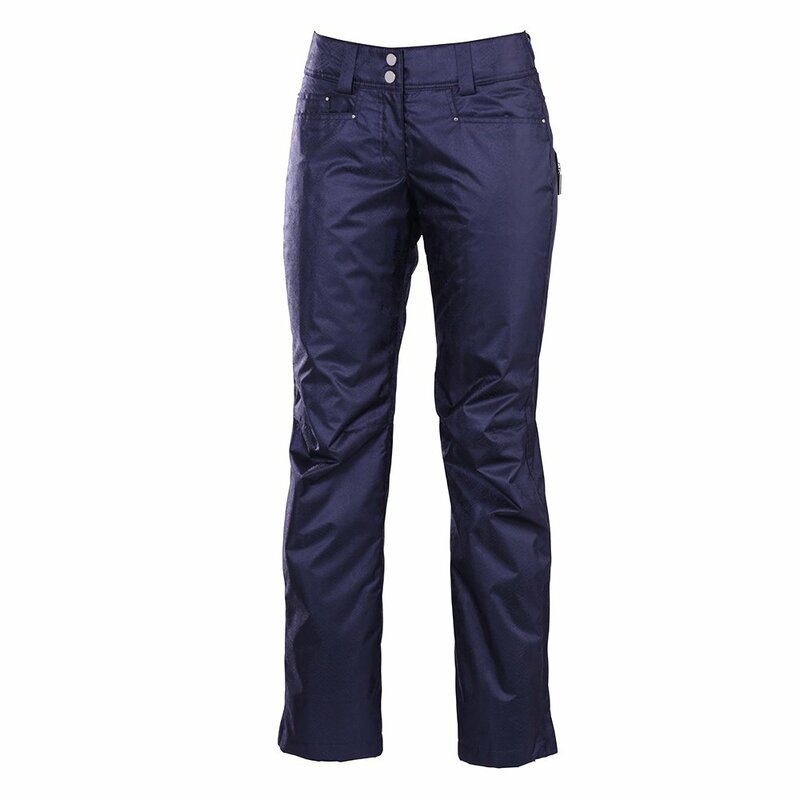 The Selene Print pant is a great choice if you're looking for an everyday ski pant that commands a little extra attention on the hill.